Tambours d’Afrique comprises a collection of Djembe drums, Djun Djun and bells. 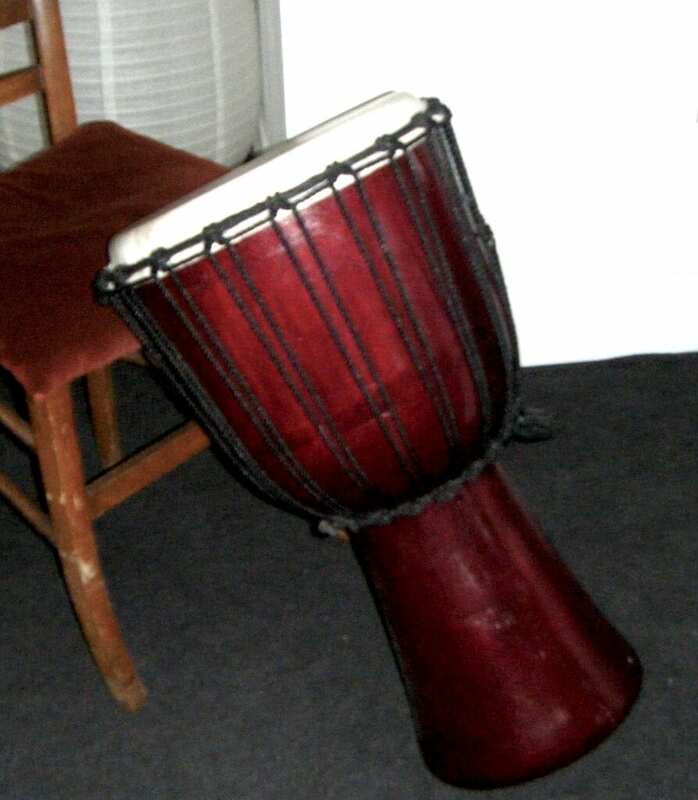 The Djembe has its roots in West Africa, but it has gained huge popularity in the West over the past couple of decades. Traditionally, it is a goblet-shaped, wooden drum, which is open at the base, and has a single skin made from hide stretched tightly over the top of the body. Played by both hands it has three main tones, ranging from a resonant bass, a tight edge tone and a sharp slap. The Djun Djun is a combination of three drums, each a different size and tone, hit by a drumstick, with accompanying bells of assorted sizes. The group is about a dozen people who get together as part of the Silver Programme of music for adults of 50+, run by the Sage in Gateshead. The display of the variety of multi-part West African rhythms might inspire you to take up African drumming.